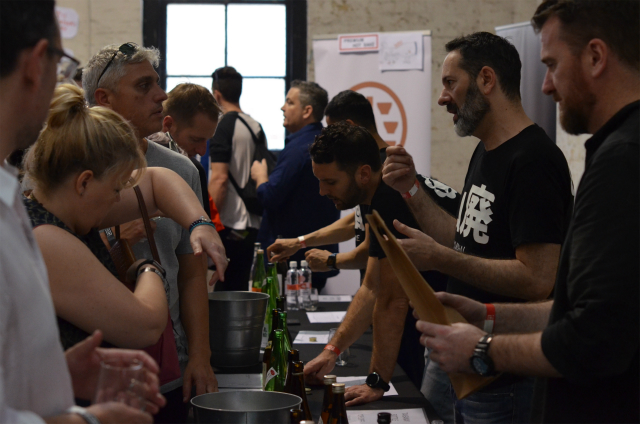 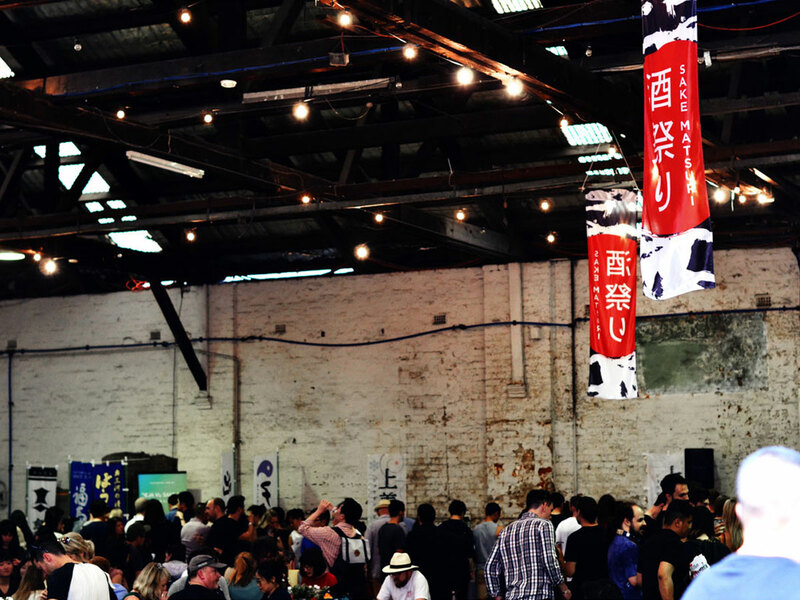 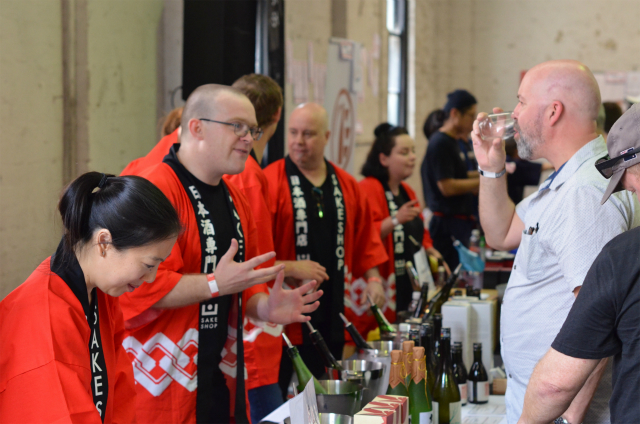 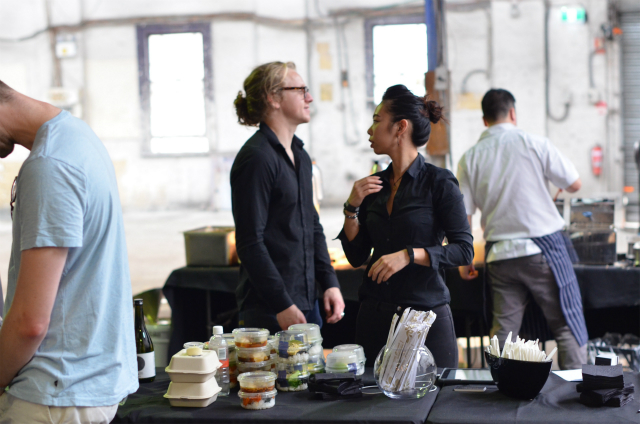 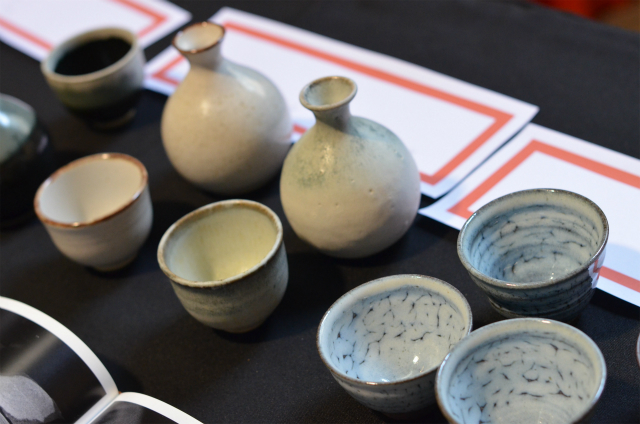 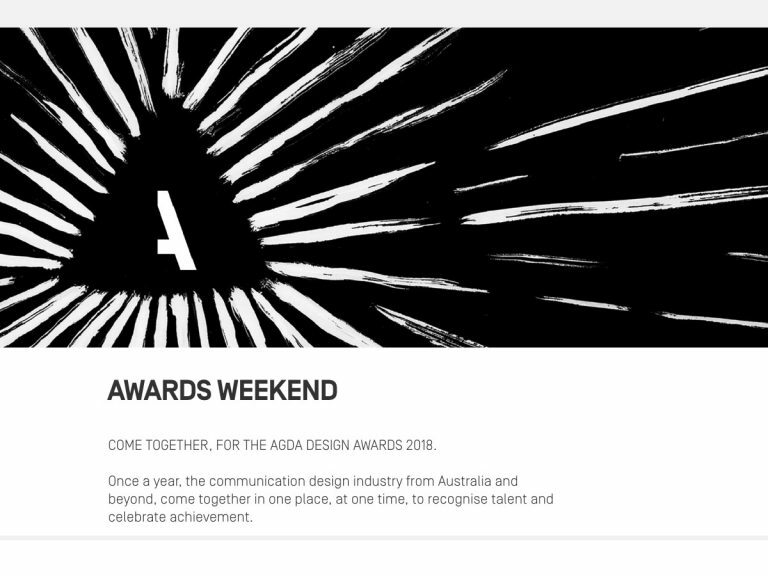 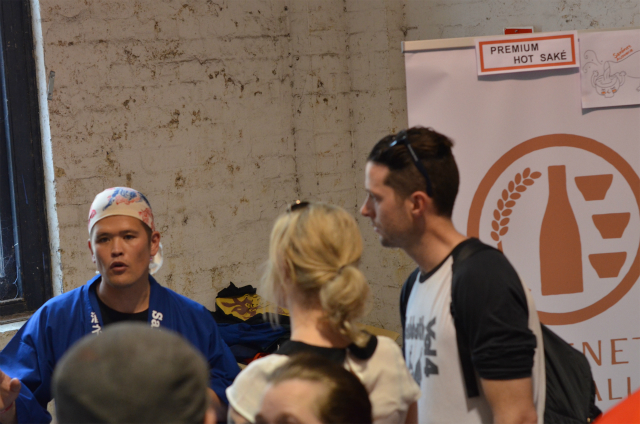 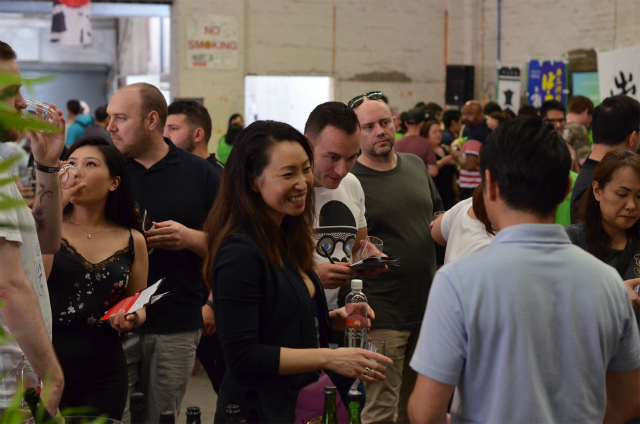 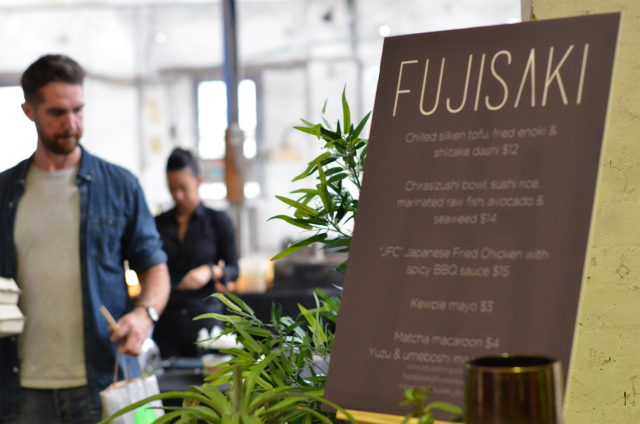 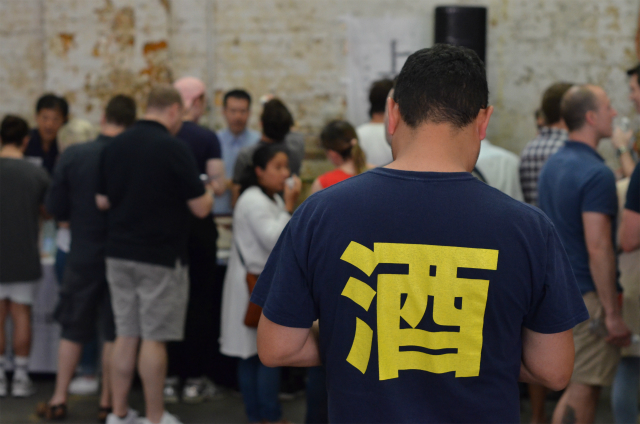 The 2018 Sydney Sake Matsuri was held just this past Saturday at The Commune in Waterloo. 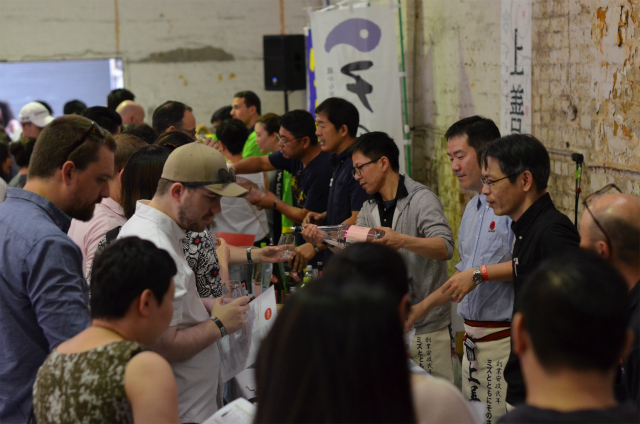 With attendees numbering in the hundreds, a handful of the largest Australian sake importers and a couple brewery representatives directly from Japan presented the sake of a variety of Japanese breweries, as well as a pop-up by Barangaroo-based Japanese fine-dining restaurant Fujisaki handling food duties, it has been one of the largest-scale sake-tasting events held in Australia in recent years, and a sign of greater things to come in the still growing industry. 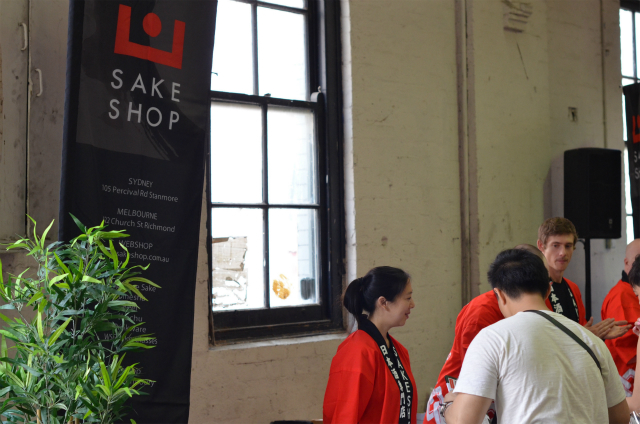 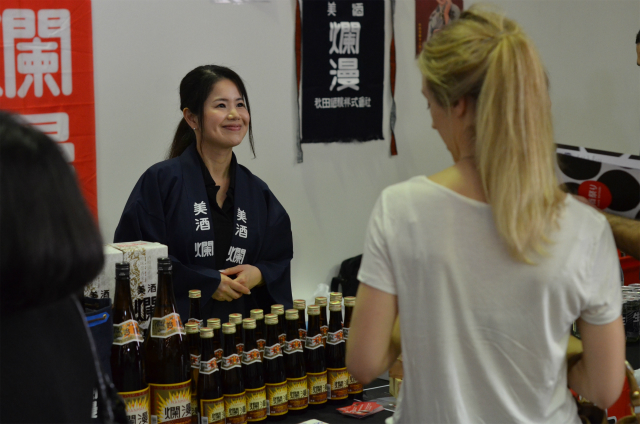 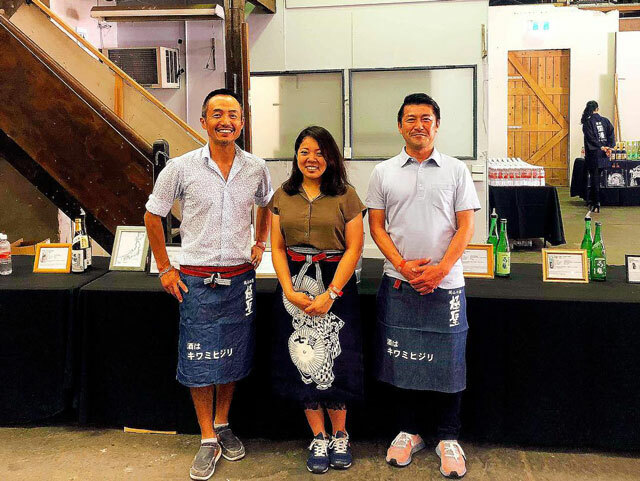 A dozen stalls had been set up in the warehouse-venue – one or two each for Australian sake importers Sake Shop, Sakenet Australia, Deja Vu Sake Co, Black Market Sake and Bishu Wine Imports as well as general food importers Jun Pacific and Daiwa Food Corporation. 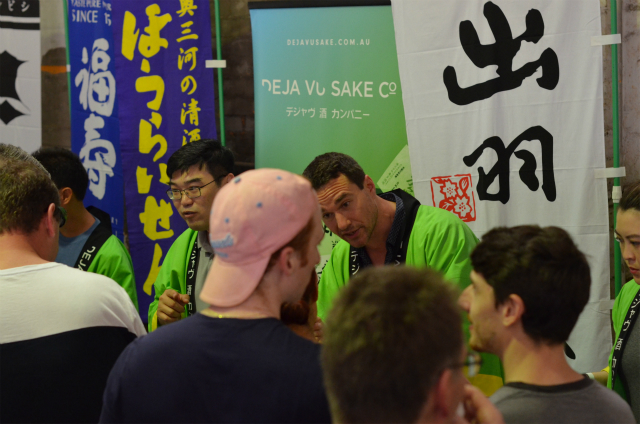 Festivalgoers, encompassing both men and women in great numbers, and across a wide range of age groups, were treated to a large number of sake’s from breweries all across Japan, with different varieties showcasing the broad flavour spectrum of the beverage and the humble rice grain it sources from – some simply enjoying the festivities with friends, others taking on a more inquisitive approach to the tastings. 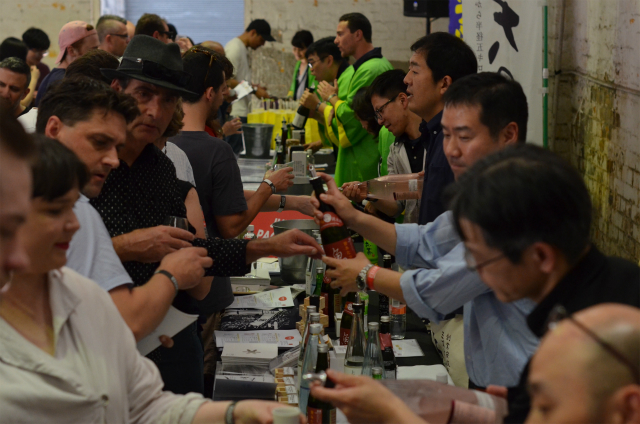 Along with the standard purified Ginjo and Daiginjo sake’s that have grown in mainstream popularity in recent years, there were also cloudy-sweet nigorizake’s, malty red-rice varieties, the rare aged koshu, warm sake – heated to create more nuanced flavours, and some sparkling types reminiscent of a glass of bubbly, all served in one’s choice of a classic stemless Plum wine glass or a more traditional ochoko – very similar to a shot glass. 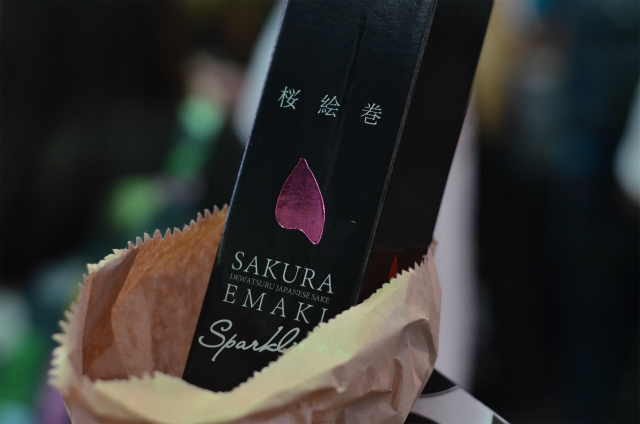 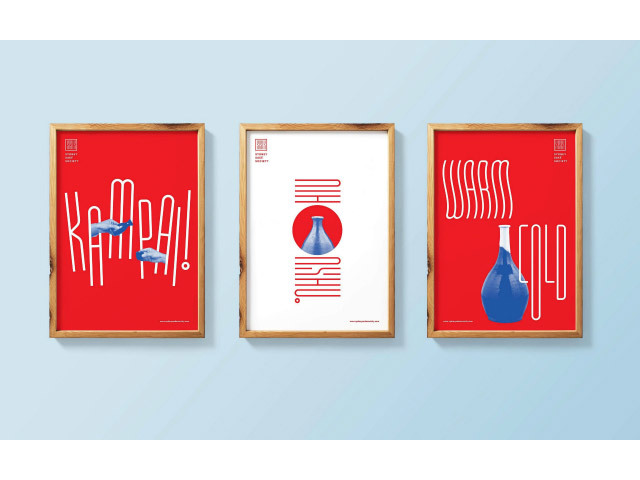 Nonetheless, one must remember that sake is fundamentally a sipper’s beverage. 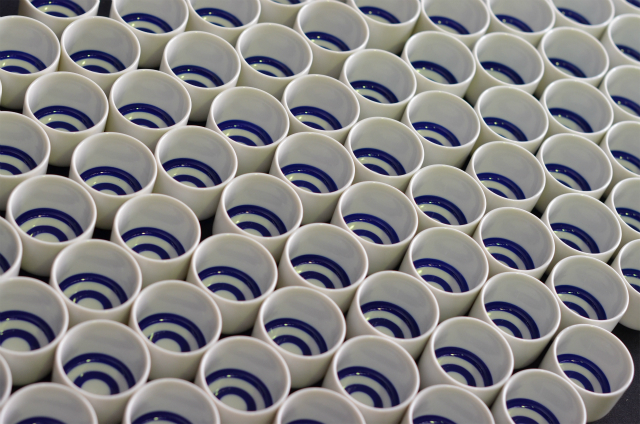 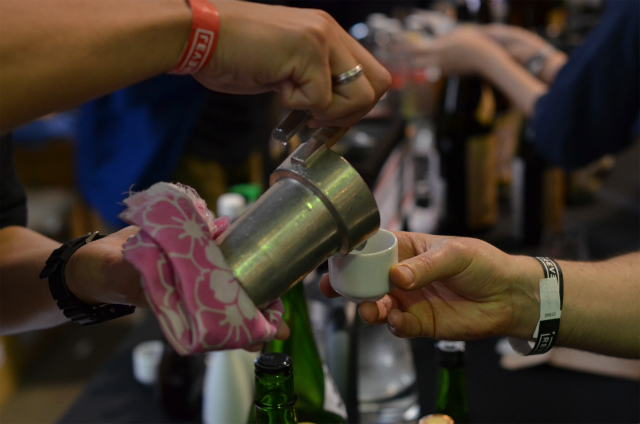 In regards to the method of traditional sake tasting, one takes in the aroma coming off the top of the vessel – usually the wine glass is used for room-temperature and cold sake, and the ochoko for warmer varieties, before taking a generous sip and savouring the delicate flavours within. 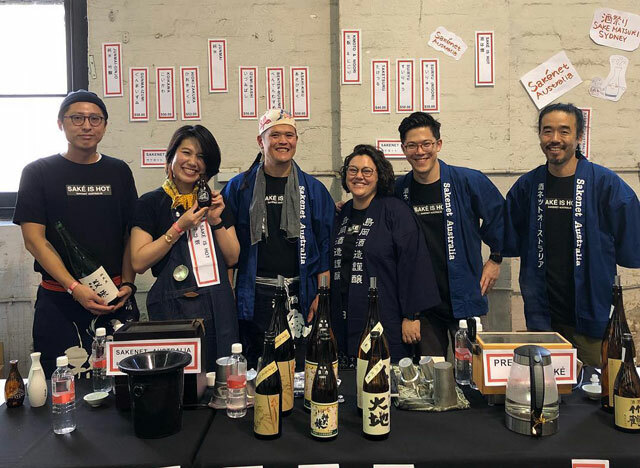 Also, it is important to note that the order of drinking goes from lighter, more delicate sake to heavier-tasting ones later on – so as not to overwhelm the flavours of the former. 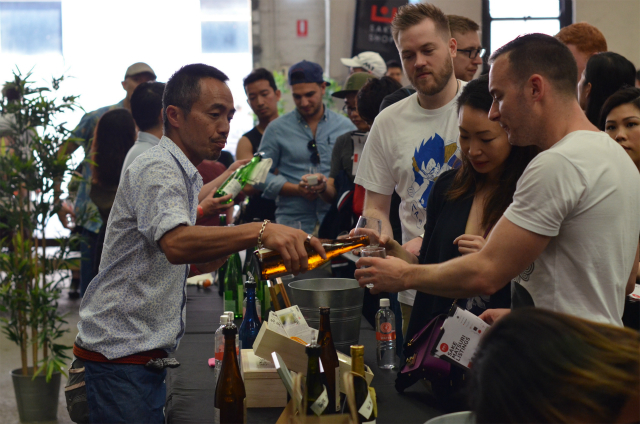 With sake-tastings winding down around the afternoon, many people decided to purchase a bottle or two of their sake – tasting booths offering the entire tasting range, plus some other exclusive sake’s, bottled and ready to go home. 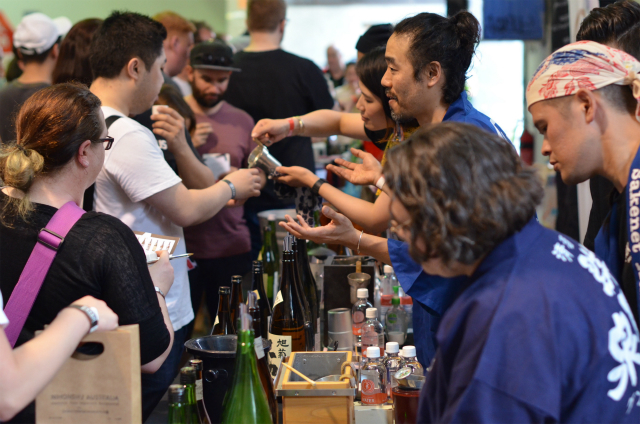 A couple of attendees were seen leaving with ten-plus bottles in tow. 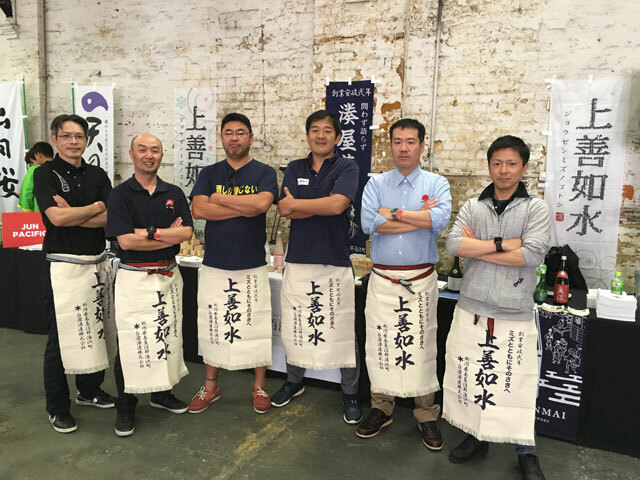 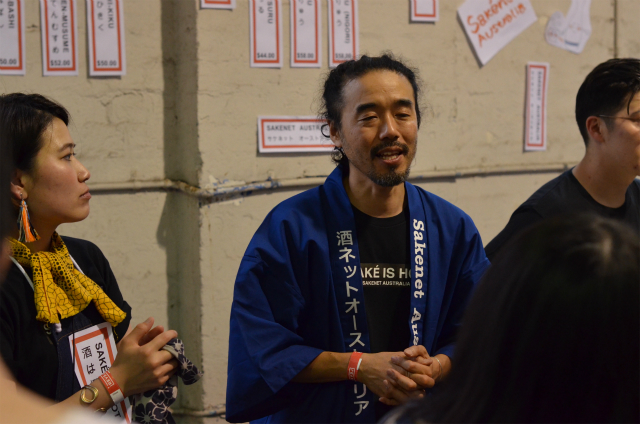 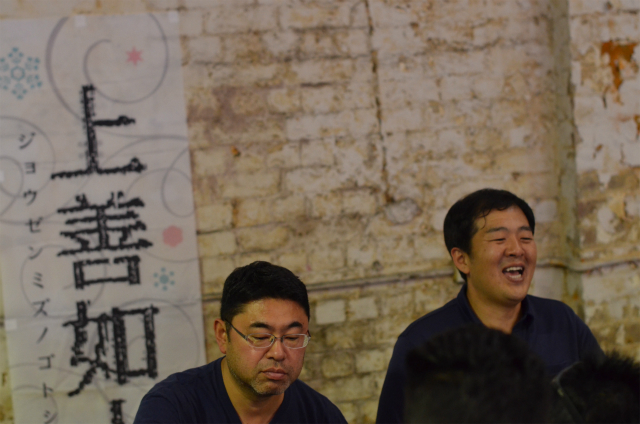 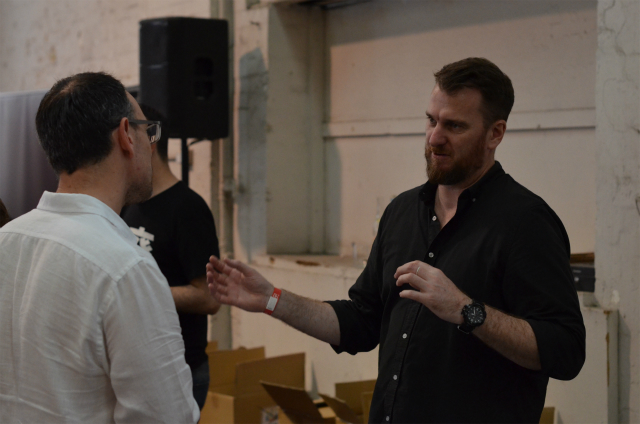 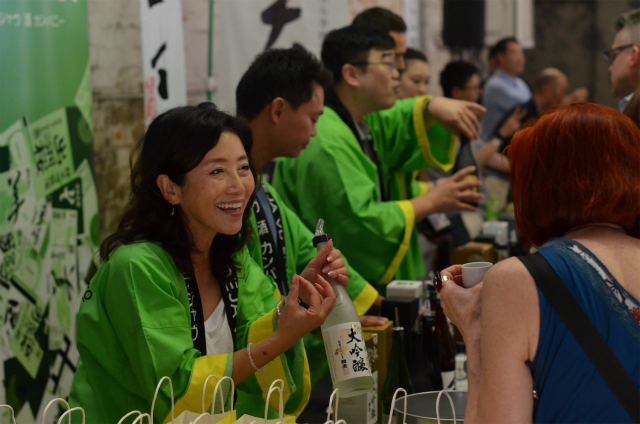 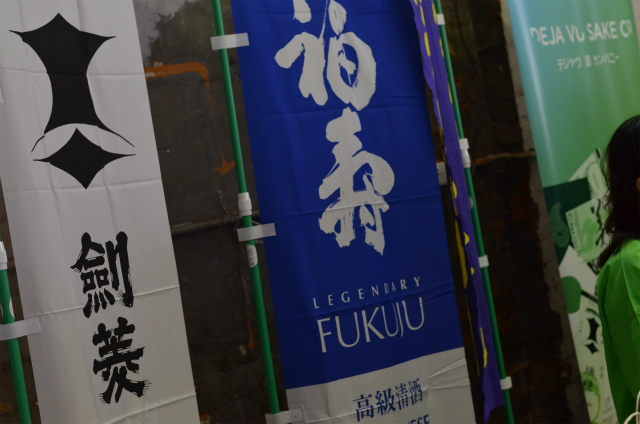 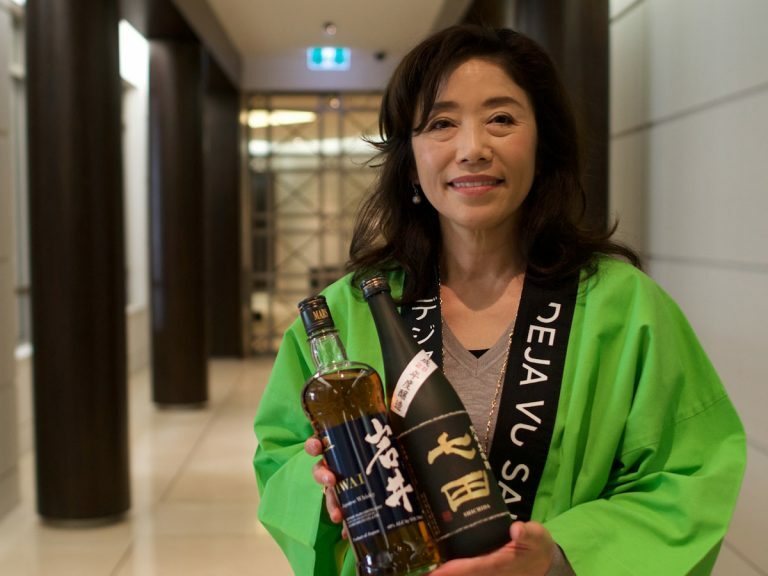 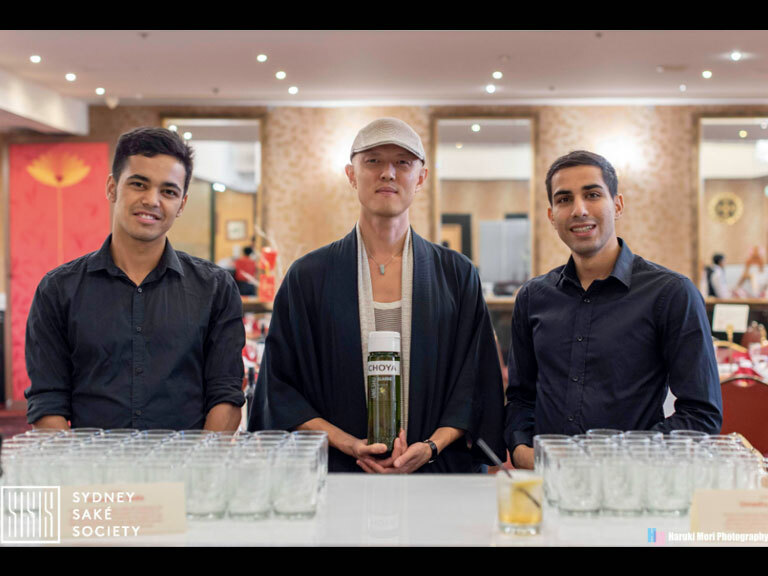 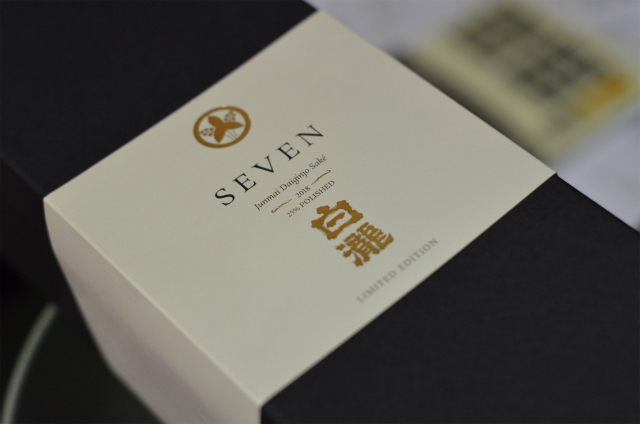 Overall, the 2018 Sydney Sake Matsuri has been an exciting event – as a space for sake lovers in Sydney to gather together and celebrate the beverage, and acting as a point of exposure for first-timers and those less familiar with the beverage to experience its flavours and history, as well as being an important promotional step in continuing the penetration of sake imports into the general Australian alcohol market.